With the explosion of the smartphone, it's apps, and the gig economy there are now more ways than ever to make money with your smartphone. From taking surveys and shopping online, to selling your services and stuff that is lying around your house, there are hundreds of unique ways to earn money with your device. 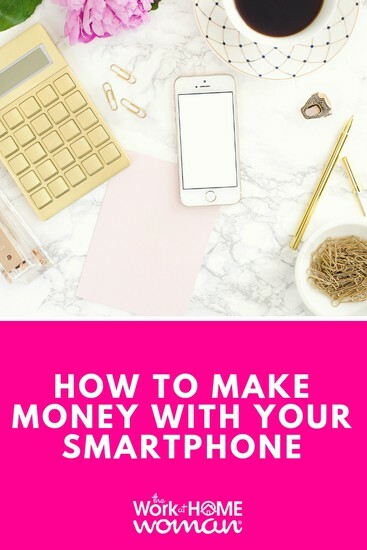 If you're ready to make some money with your smartphone, here are some legit ways to cash in! Swagbucks is one of my faves! With Swagbucks, you earn points called SB, which can be redeemed for gift cards, coupons, and sweepstake entries. The platform can be accessed via your laptop or their via smartphone app for iPhone and Android operating systems. You can earn SB by watching videos, answering questions, completing offers, and even surfing the web using their toolbar. Refer your friends, and you’ll earn even more SB. Your SB points can be traded in for gift cards from Amazon, Target, Starbucks, PayPal, and Walmart. You also get a $5.00 sign up bonus when you register, sweet! Want more info on Swagbucks? You can check out our full review here. App Bounty rewards you for downloading and trying out new smartphone applications. You can also earn points for spreading the word or liking them on Facebook or following them on Twitter. Points can be redeemed for iTunes and Amazon gift cards, as well as Xbox Live, PS Network Points and paid apps for free. Available for iPhones and Android operating systems. CheckPoints allows you to make money by scanning barcodes, taking quizzes, watching videos, searching the web, and completing offers. Trade points in for gift cards from Amazon, Target, and Walmart or earn entries for giveaways. CheckPoints has been featured on Mashable and is both Android and iPhone compatible. DoorDash is a smartphone app that connects Dashers (delivery drivers) to individuals who needs items delivered to their homes. Fill out the online application, wait for your background check to clear, and once accepted start taking assignments via the app. With DoorDash you can use your vehicle, scooter, motorcycle, or bike, and in particular locales, you can even walk to make deliveries. Dashers are paid weekly via direct deposit. With this smartphone app, you connect your credit card to their secure platform and for every dollar that you spend at a participating retailer, you'll earn a varying (usually 2-10%) cash back amount. Because transactions are automatically tracked via your card, this opportunity is entirely passive. If you decide to refer friends and family to the platform, you can earn $5 for each person that signs up with your referral link (they have to connect their credit card). Money is available for withdrawal via your bank account, PayPal, or Venmo. I love this app — because it is totally passive earning! With Drop, you earn points for shopping at individual stores. All you have to do is connect your credit card to their secure (256-bit encryption) smartphone application, and each time you purchase at a participating retailer, you'll earn points. One thousand points equals $1, and when you earn enough points, they can be traded in for gift cards from stores like Starbucks, iTunes, Amazon and many more. You can also invite friends to join with your own personalized referral code. For each friend who signs up with your referral code — you'll earn 1,000 points. Drop is available in the US and Canada and for both Andriod and iPhone users. Drop has been featured on Business Insider, Pop Sugar, and Fox Business. Easy Shift is a micro-task application where you can earn money by completing shifts. Shifts usually entail checking prices, seeing if a product is in stock, or taking photos of a store display. Once you have successfully completed the shift, payment will be made through PayPal within 48 hours of submission. Shifts pay anywhere from $2.00 to $20.00 per task. Easy Shift has been featured in USA Today, All Things Digital, and Mashable. Is currently only available for iPhone users. Field Agent allows you to make money by completing various micro tasks, from checking shelf availability to checking demo and display compliance. Jobs pay anywhere from $3.00 to $12.00 per job and payments are made via PayPal. Field Agent works with brands like Tyson, Target, Hershey’s and has been featured on CNET, Forbes, and The New York Times. Only available for iPhones. Foap allows you to make money by selling photos you take on your iPhone. Download the Foap application to your smartphone and upload your photos. Once your image receives five positive ratings from other Foap users – your photo will be published for sale. You will earn $5 each time someone purchases your photo. Payments are made via PayPal when the user requests a cashout. Getaround is a smartphone application that allows you to rent your car out for short periods of time. List your vehicle in their marketplace and download the app. When you're not using your vehicle, individuals can rent and unlock your car using the app. Payments are made monthly, and the average Getaround renter earns $10,000 a year ($800 a month) — not bad! Getaround is available for both iPhone and Android users. With this Android operating app, you can earn cash via PayPal or gift cards by watching videos, trying new apps, playing games, and completing surveys. According to its website, Giftloop has paid out over three million dollars and it has a four out of five-star rating in the app store. GigWalk is a mobile workforce of individuals using their iPhone or Andriod smartphone to connect, explore, and earn a second paycheck as they go about their day. Just register, apply for an assignment, and then complete the task (usually verifying roads and street signs, geographic landmarks or transportation options). Gigwalk’s workforce is available in multiple US cities. GigWalk has been featured on CNN, Business Insider, and Forbes. Another one of my favorites! Ibotta is an iPhone and Android application that you can use to earn money when you go shopping. Before you head out on a shopping trip complete tasks relating to your favorite brands and companies. Next, go shopping at stores like Target and Walgreens and take photos of your receipts. Once your transaction has been verified, your account will be credited with a specified cash back amount. Refer your friends and earn even more money. Payments are made via PayPal or gift card and can be transferred as soon as you earn $5.00. Ibotta has been featured on Mashable, Good Morning America, and Business Insider. InboxDollars is both a smartphone app and a desktop portal, where you can earn money for taking surveys, reading emails, playing games, and sharing your opinion. New users can earn $5 for signing up, and once your account reaches $30 you can request a payout via check or Visa cash card. InboxDollars has an A+ rating with the Better Business Bureau. If you're interested in earning with this app, you can read our full review here. Instacart is an on-demand gig where you can get paid for full-service (delivery and shopping) or just grocery shopping. This app is available for both iPhone and Android operating systems and you can make your own schedule and you'll get paid weekly. You must be at least 18 years to work for Instacart. If you're curious what it's like working as an Instacart Shopper, this woman gives a good account and tips for doing so. Job Spotter is a smartphone app from the job site, Indeed. To earn points using this app, all you have to do is snap pictures of Now Hiring Signs along with a photo of the store's signage. For every approved submission you'll earn a varying amount of points. You can also earn points by verifying other user's submissions. I tried this out one day and earned $2.97 for snapping pictures of four help wanted signs and verifying a few submissions. Your points can be redeemed for an Amazon gift card. Job Spotter is available for Android and iPhone applications. Lyft is a smartphone app that allows users to tap a button to request a ride (almost like a taxi cab on demand). So if you have some downtime and want to be a cabbie on demand, sign up to be a driver. Choose your own hours, drive your own car, and make $35+ an hour. You must be at least 21 years of age, have a 4-door car that is from the year 2000 or newer, and a clean driving record. Drivers get 80 percent of payment from passengers. Money is deposited into your account each week. Mobee is a secret shopper app that allows you to earn rewards for shopping at certain stores. To get started, download the app, accept a mission near you, and answer the questions once you arrive. It takes approximately 48 hours for someone to review your submission, but once it's approved, you'll earn points that can be traded in for gift cards from Starbucks, Target, Walmart, Best Buy, and many others. You can also earn points by referring friends to the app; once they complete their first mission, you'll both receive 300 points. Mobee is available for both Android and Apple smartphones. Poshmark is an application where individuals can sell women’s fashion clothing, shoes, handbags, and accessories. Download the app on your iPhone, create an account, and then start taking photos of the items you wish to sell. Once the item sells, print out a pre-paid, pre-addressed shipping label, and send off your item. When the buyer receives the item, Poshmark will deposit 80 percent of the sale price into your account. Payments are made either by direct deposit or check. With Postmates, Android and iPhone users can earn money delivering groceries, alcohol, food, and retail items with your car, motorcycle, scooter, or bicycle. With this app, your earnings are available immediately after the delivery and you can cash out instantly, as many times per day as needed. Otherwise, payments are automatically deposited to your bank account weekly. You must have a linked debit card to receive payments. Available for Android and iPhone systems, Receipt Hog pays you money for shopping and taking surveys. Download the app and take photos of your receipts from any grocer, supercenter, club store, dollar store, drug store, convenience mart, beauty supply, or pet supply store. Once receipts are inputted into the system, Receipt Hog will award you with virtual coins that can be traded in for cash through PayPal or an Amazon gift card. The information that Receipt Hog collects is summarized and used in market research reports that companies will pay for. The number of coins you earn per receipt depends on how much your total bill is. You can submit 20 receipts per week and trade 1,000 coins in for $5.00. I'm totally addicted to this app! Shopkick is a really cool rewards program that is available for iPhone and Android phones. Just download the app to your phone, and when you walk into your favorite stores (Old Navy, Crate & Barrel, Exxon, Target, Macy’s, etc. ), you’ll instantly earn kicks. Scan specified barcodes once you're in the store to earn more kicks. Link up your credit card, browse through lookbooks, or refer your friends for even more kicks. Kicks can be used for gift cards from Target, Old Navy, Starbucks, or on items like clothing, electronics, or even a cruise! Shopkick has been featured on The Huffington Post, Forbes, and The Wall Street Journal. Uber is a smartphone app that allows users to tap a button to request a ride (think taxi on demand). So if you have some downtime and want to be a driver on demand, sign up with Uber. Choose your own hours, drive your own car (or rent one of theirs), and make good money on demand. Money is deposited weekly into your account. Uber Eats is an on-demand, smartphone app where you can make money by delivering packages and food via your car, bike, or scooter. The more deliveries you make, the more you'll earn. With their Instant Pay system, you can get same day payouts up to five times a day. Both Uber and Uber Eats are available on Apple and Android operating systems. Do you love to watch TV or listen to music? Then Viggle is for you. Just download the app to your Android or iPhone, check in with Viggle button and start earning points by watching TV or listening to music. You can even engage and answer questions for additional points. Points can be redeemed for rewards from companies like Starbucks, Foot Locker, Groupon, and Best Buy. One last word about smartphone apps. Not all apps are legit — you need to do your due diligence and read the reviews before installing on your phone and entering your information. I'm fairly cautious when trying out new apps. If there are zero reviews listed on iTunes or the Android app store – I won't download it. You'll also want to read reviews online and via the Better Business Bureau website. 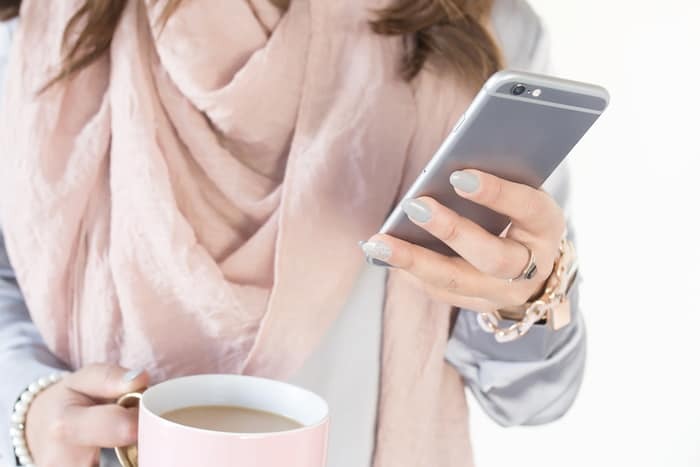 If you want to see what smartphone apps I use to earn money on a weekly basis, check out this post — these apps pay for my Starbucks addiction! Which smartphone apps are you using to make money? Feel free to comment on your favorite money-making smartphone apps below! If you enjoyed this post — please share on your favorite social media site. Originally published October 9, 2013. Content updated March 20, 2019. I would like to join. How can I. The Work at Home Woman is for geared for U.S. residents. Please check out FlexJobs for global opportunities. I see you didn’t mention whaff reward. it’s a good app to collect bucks. by doing task they offered. it worth to try. download whaff reward from google playstore, to get 0,3$ instant bonus from whaff. I pay my rent and bills by working through my smartphone, real work, real pay. uber rush, Zipments, instacart, task rabbit. Are what I’ve tried so far. they all require some sort of training, andI I’m not sure are available in all cities. Thanks for sharing! There’s a couple that you mentioned that are new to me — I’ll have to check them out. Hey this app wasn’t on here. But its called apptrailers. You can watch videos, rack up points and use points to get amazon,PayPal money and a lot more. You can upload videos and get points. Its avaliabe on android and iOS. I’m not sure, Milly. You would have to check each one out. How does it work? How do I get started? Do I have to pay anything to get started? No, these are free to use. Just download the apps on your smartphone. You can search in the application store for them by name. I’m not sure. You’ll have to read the terms to see if they are applicable in Egypt. I’m not sure … You would have to read the terms to see if it does. My name is Michael Roche I am the CEO/Owner of Flashpoint media LLC maker of the popular Instant Rewards iPhone App. I am writing you today because I came across an article you wrote about “apps that pay you” while you have many great apps in this list ours is not part of it. Our App Instant Rewards was recently featured in seventeen magazine and on several other media outlets. We have over 50,000 users and 4.5/5.0 rating in a side by side comparison of some of our competitors such as: Jingit, Checkpoints, Appjoy, Gigwalk or adfun we beat them in all categories. We Offer users Videos to watch, Surveys to take, Apps to download and recently partnered with Kiip to offer “real Life” rewards to users. We also pay more and offer both paypal and Amazon giftcards as a cashout method, and unlike all of our competitors we are open worldwide not just limited to the USA. In conclusion I believe your readers deserve to be informed about the best apps around and quite frankly one of the best apps (ours) is not included in this list. Don’t take my word checkout the reviews yourself we are better than most if not all rewards apps available today! well am a Ugandan highly interested in such apps that make me more money on my phone but its some how hard for me. I was requesting of how you can be of help to me thats if you can help me. i hope CEO is not here to write essay for your review. Punctuation doesn’t matter on any comment or chat. Mrs Rubi you should ignore these things. You are right Ruby when a CEO is writing something very important for his business, he must be impeccable in grammar and punctuation. Ya your app is bull!! Still haven’t got paid!! DO NOT DOWNLOAD FROM THESE FRAUDS. Ryan — you can read reviews on all of the the apps at the app store. I’ve done well with ShopKick, Ibotta, and Receipt Hog. Which ads are bull? I don’t want to download those that waste my time! I want those apps that can make me real money fast! (or kinda fast) If you can help me, is very much appreciated! Hope to hear from you soon! Hi Christine, Stephanie is referring to Instant Rewards which is not included on my list. I’ve had good luck with Swagbucks, Ibotta, ShopKick, and Receipt Hog. The only reason I am not down loading this app is because your reviews were too poor for me. I’m interested in making quick money. Not where it takes me 6 months to earn $10. Sorry. Not worth it!!! Actually, I have received 2x £5 amazon gift vouchers from Swagbucks. Its great I recommend that one. Haven’t tried any of the others. Why not in india? Any one can u suggest me please? instant rewards is really amazing app. my friend uses it and he have earned well. i loved their UI. Hello Michael Roche, I am a user of your app Instant Rewards and I have been trying to contact someone from Instant Rewards for three months now for $38 USD owed to me via PayPal that I have not received yet … I am owed $29 from 6/5 and $9 from 7/5 and you have ignored me this whole time your phone number is bogus … no one ever answers. Why? Are you a scam? Well I see a lawyer tomorrow afternoon to resolve this and channel 6 news here in Maine is going to do a story on it this weekend as well as The Sun Journal. Can you at least respond to me to to try to resolve this issue or let me know what’s going on at least. I am not a joke no one is but your app sure thinks so … so disrespectful … you are going to be in huge trouble if you don’t stop ripping people off! Hi Nancy, I emailed Michael and told him about your comment. Crossing my fingers for a speedy resolution! Hi Nancy, Michael emailed me to let me know that he has made payment in full to your PayPal account. Lol….this person has a referral link. Your app is not available in Canada. Good day, please am in Nigeria. How do I get paid knowing that I don’t have a PayPal account not an Amazon account?